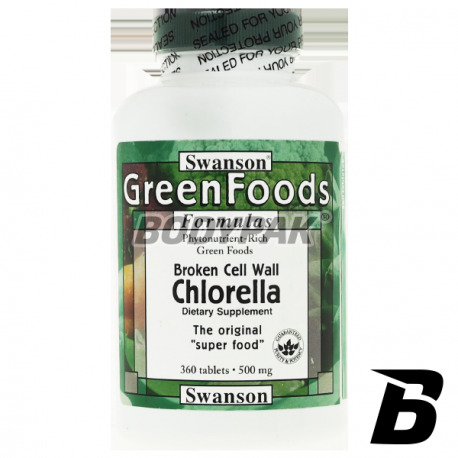 Health & BeautySwanson Chlorella 500mg - 360 tabl. 168 loyalty points Your cart will total 168 points that can be converted into a voucher of 6,72 PLN. 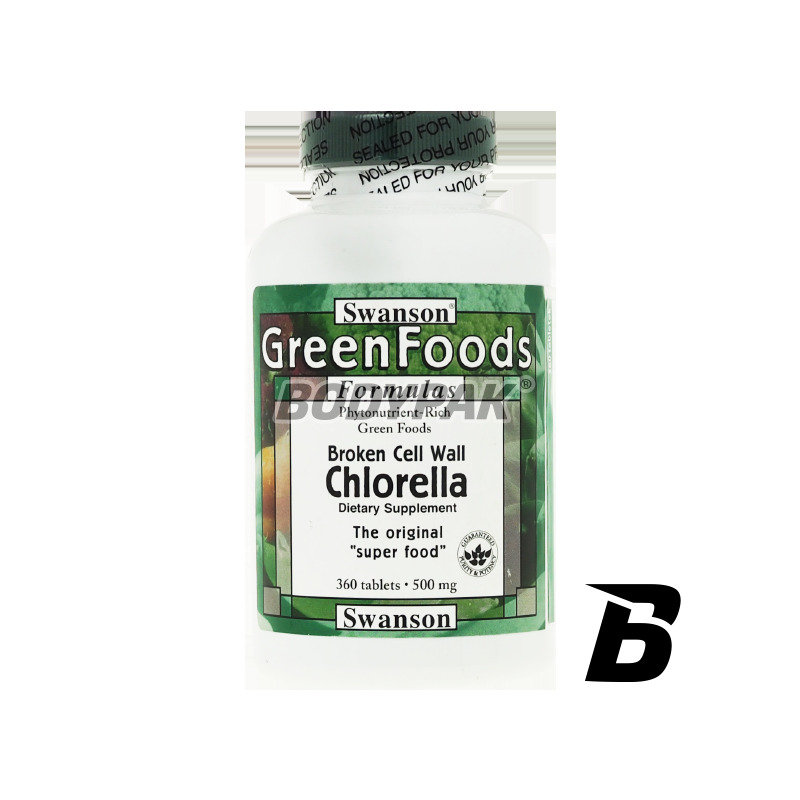 This alga Chlorella which is the perfect complement to the substance of life required the cells in our body. This tiny, single-celled alga contains almost all the necessary nutrients our body. It has a unique range of components: essential amino acids, saturated and unsaturated fatty acids, a number of valuable vitamins, minerals and trace elements. It contains more vitamin B12 than beef liver. In terms of the content of chlorophyll, no green plant can not be compared with the chlorella. With such a rich composition Swanson Chlorella plays a number of important functions - stimulates the immune system, strengthens the stomach and intestines, helps remove toxins from the body and, above all, provides the body with substances necessary for the proper functioning and operation, thus ensuring the good condition of mental and physical. Składniki: chlorella, nośnik: węglan wapnia, mikrokrystaliczna celuloza (substancja wypełniająca), substancje przeciwzbrylające: stearynian magnezu i kwas stearynowy, kroskarmeloza sodowa.